Fiddlesticks just got an incredible editorial mention in one of our favorite west coast magazines Sunset. 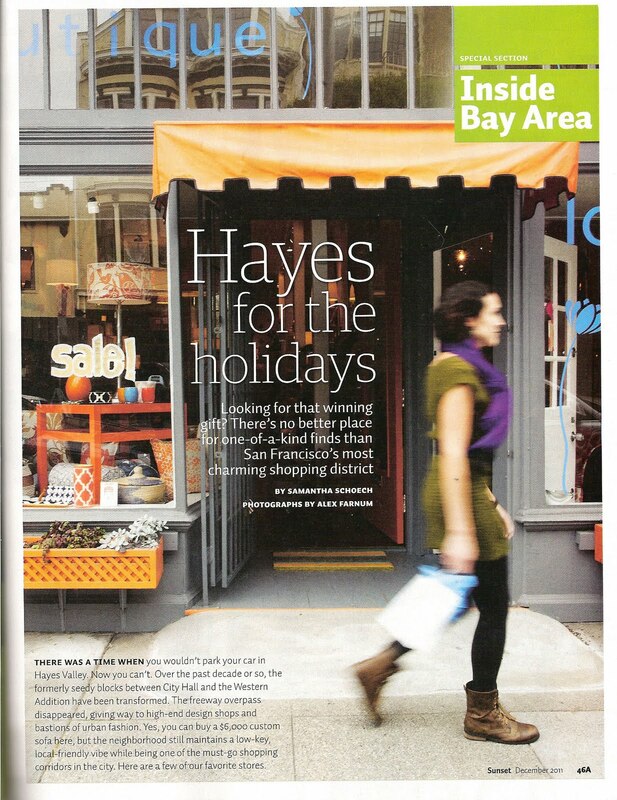 We are one of several shops featured in their article, Hayes for the Holidays! Come on down this season and see first hand why Sunset has deemed Hayes Valley as their favorite shopping district in San Francisco. 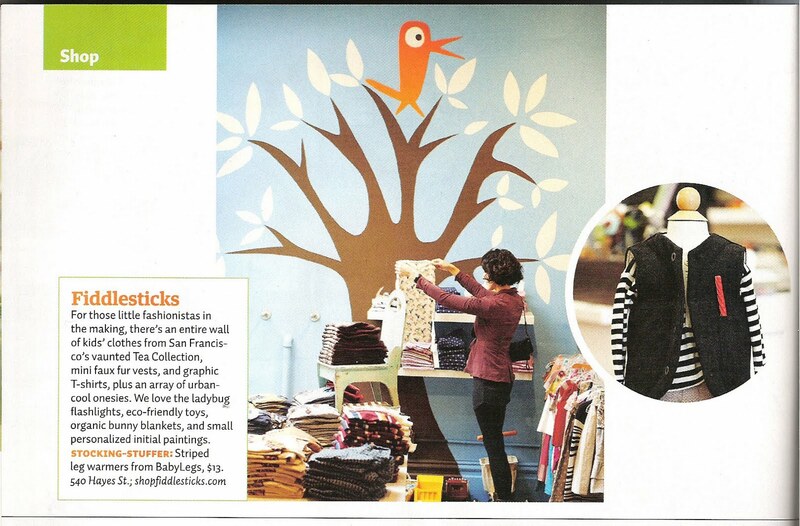 But while we have you, here is Fiddlestick's top 5 favorites kid spots in Hayes Valley - RIGHT NOW! 1. 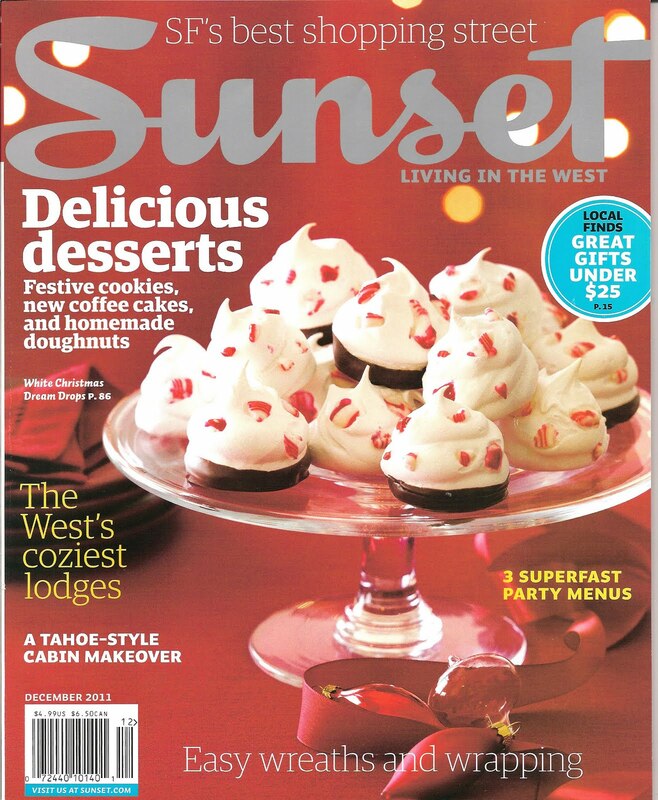 Miette - a beautiful vintage retro candy shop with just the right assortment. You'll be certain to find a few treasures for their stockings. 2. Straw - a new carnival themed restaurant with tilt-a-whirl booth & all! 3. Smitten Ice Cream - hands down THE best ice cream in the city, and lucky us - in Hayes Valley! 4. Suppenkuche's new Bier Garten - take a break from shopping and grab a German pint & delicious homemade brat and take a seat in the sun - kids MORE than welcome! 5. Seesaw - a one-of-a-kind studio & cafe inspiring creativity, curiosity & connection for kids.